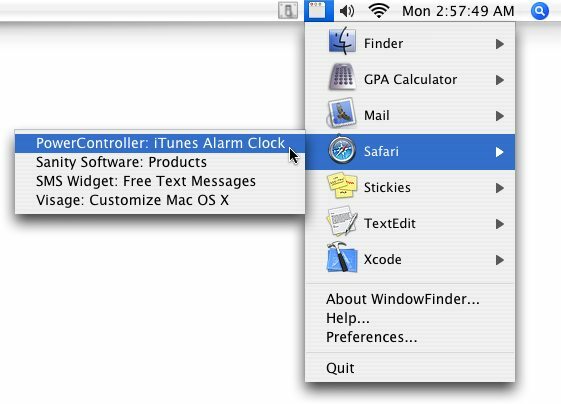 WindowFinder: Access any window from your menubar! WindowFinder requires Mac OS 10.4 or newer. Version History: View the change log for WindowFinder. For friendly, fast, reliable, and cheap web hosting, I use DreamHost. A one year plan is less than 81 cents per month with this code!